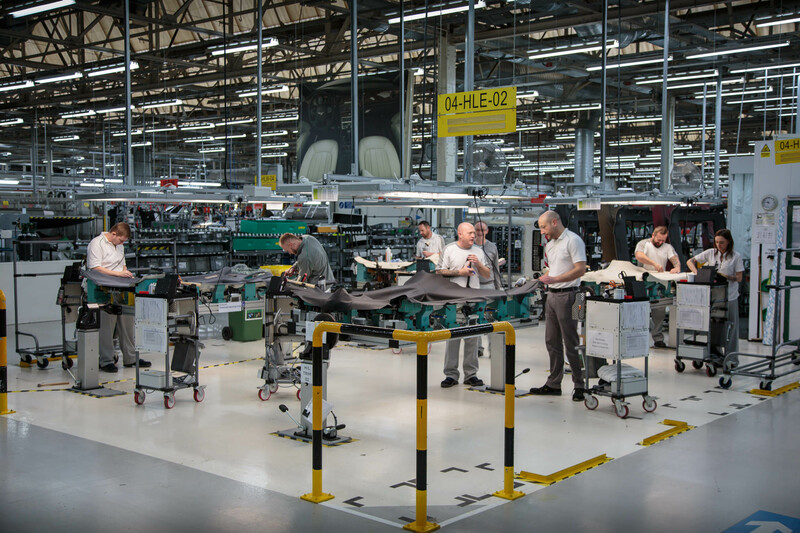 We visited the Bentley factory to find out exactly how their luxury cars are put together. 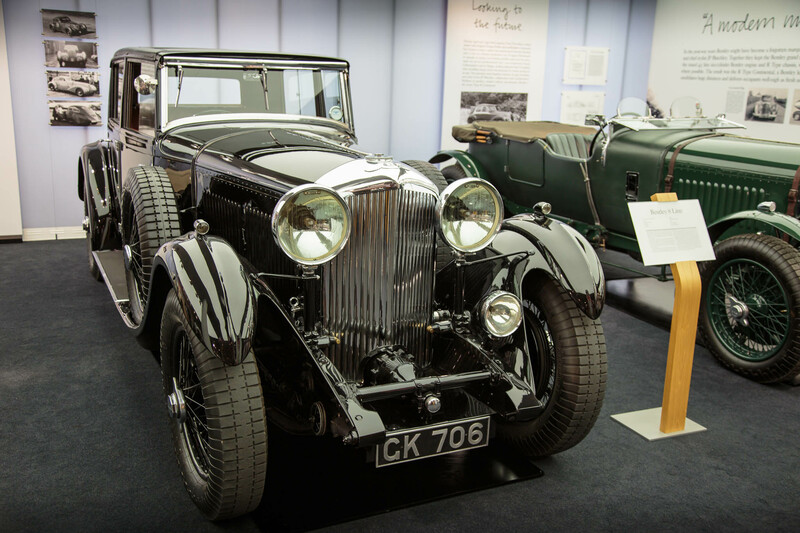 Our host, Lee Grogan, greeted us upon arrival and guided us around Bentley’s historic museum. 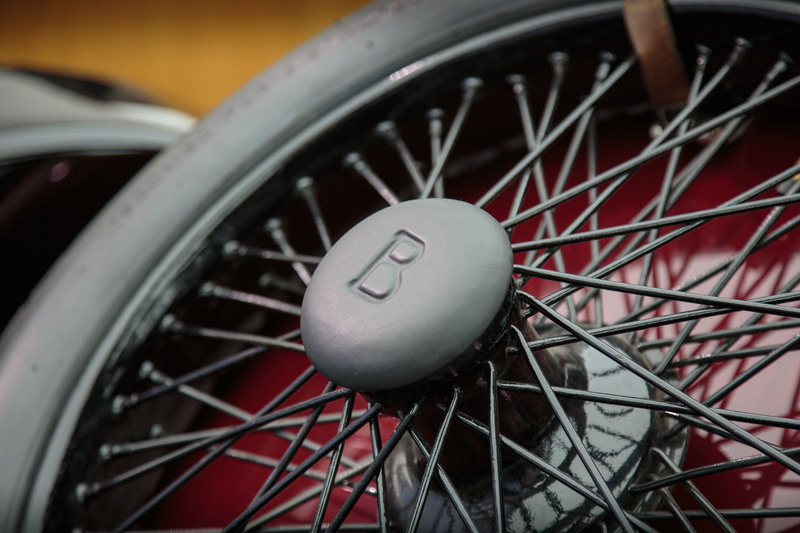 A striking image of the man himself, automotive pioneer, W. O. Bentley, caught our eyes immediately. 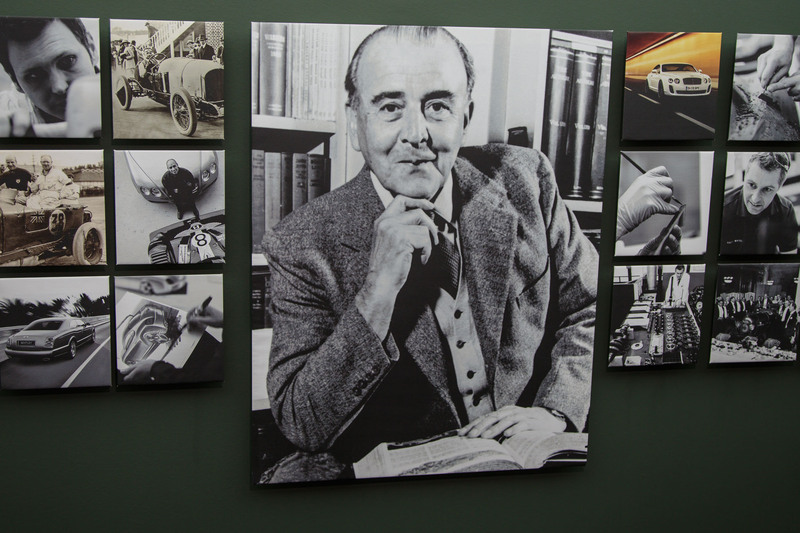 Surrounding W. O. are pictures marking milestones in the company’s history. And what a journey it has been! 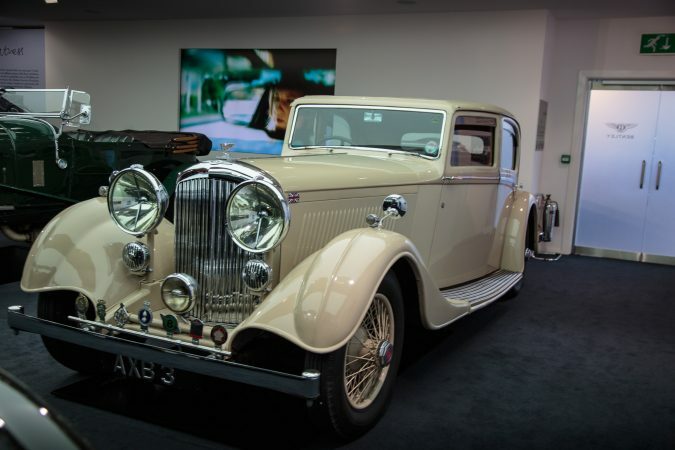 From creating one of the first ever successful performance cars, to building aeroplane engines, up to the present day by creating some of the most impressive landmark cars on the planet. What a career! 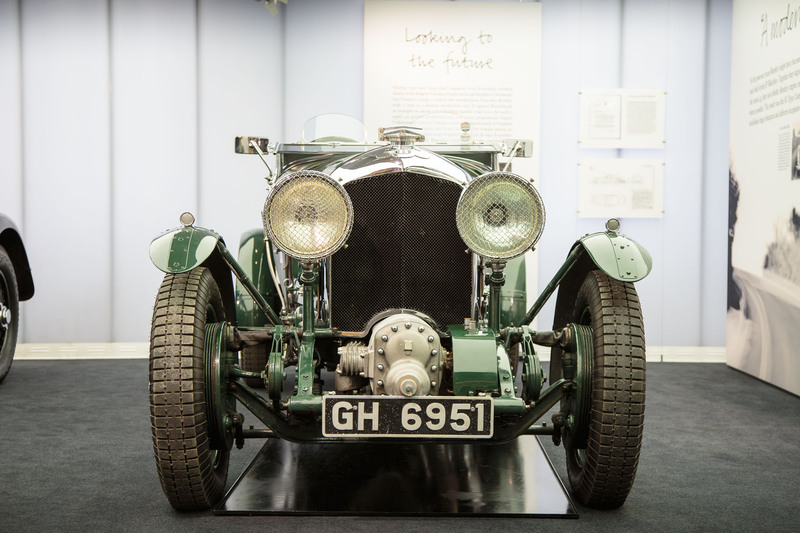 We had the pleasure of seeing the oldest surviving Bentley, the EXP2. 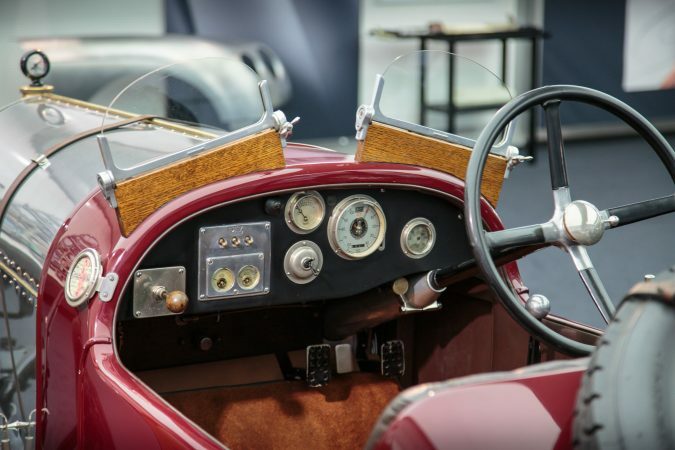 This model made history by being faster than everything else around at the time. As you can see below, it is a prized possession and in pristine condition for its age. Surprisingly, the car is still capable of being driven on the road and track from time to time, which as a car enthusiast is something you truly have to appreciate. The rest of the museum displayed iconic cars from the early days of the Bentley marque. 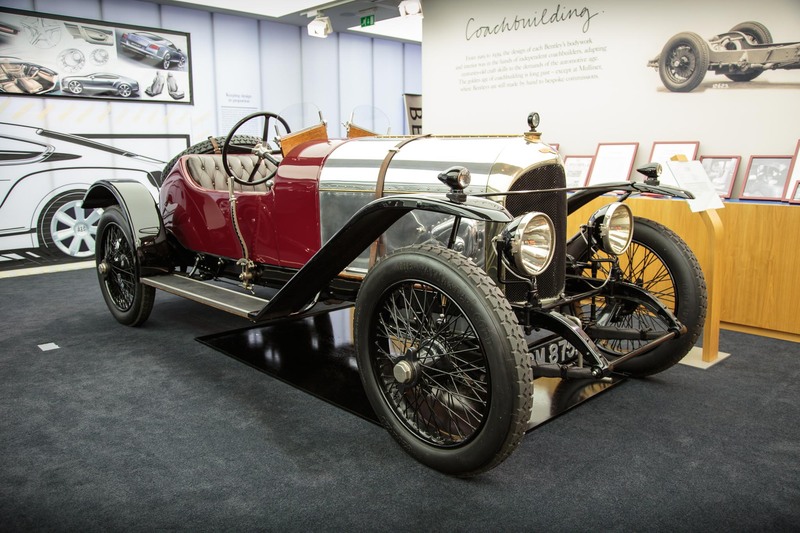 It was incredible to see vehicles built to such a high standard in the early twentieth century. Each car has its own story to tell but all are linked to the great success of Bentley Motors. Learning about these cars gives you a great insight into how the company has become the benchmark of the motoring industry that it is today. 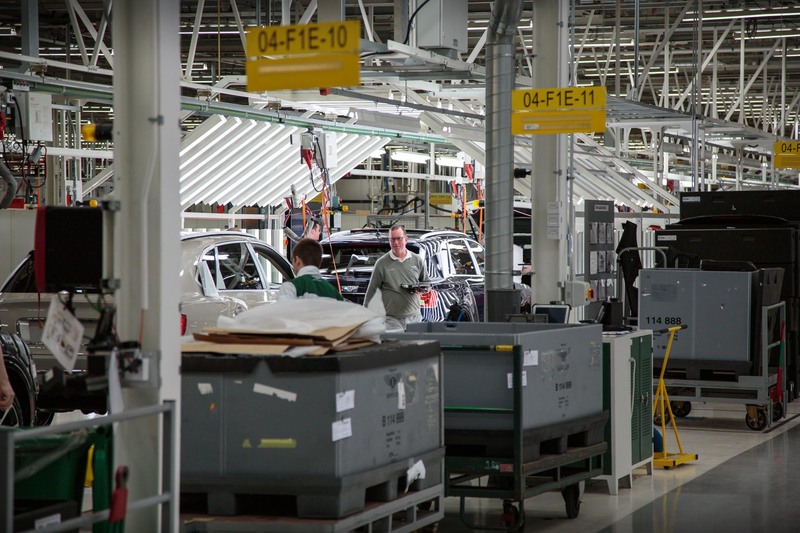 The first 20 minutes on the factory tour were the key to understanding the working business side of Bentley Motors. Bentley’s designs are showcased all around the room. Several concepts and designs are on display with a large-scale tape drawing hanging in the background. 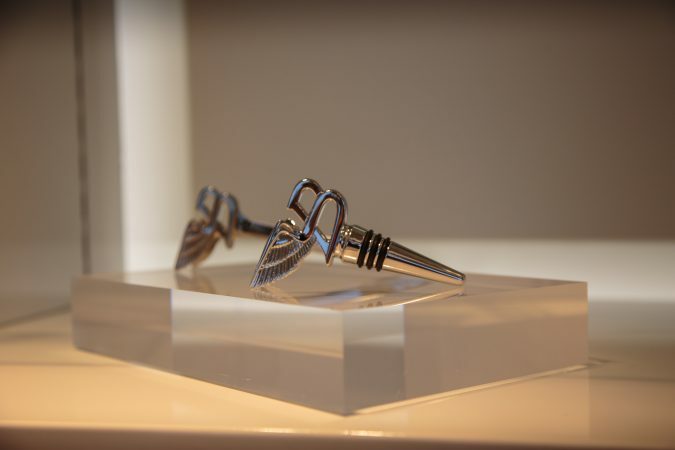 These allow designers to actively manoeuvre the car’s lines in a realistic scale. It is quite rare to be able to look at these things in person. A demonstration of technique opened our eyes to what we often overlook. We were fortunate enough to see the panel beaters’ handiwork. Generally taken for granted is the craftsmanship of the woodwork underneath. It was great to see this demonstration below, giving a glimpse to what is underneath these classic cars. 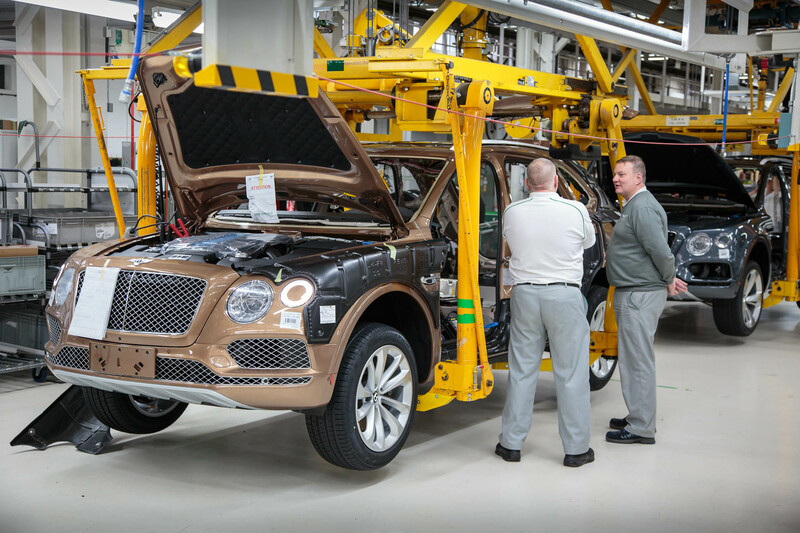 Next, we stepped out of the museum and straight into the Bentayga production line. 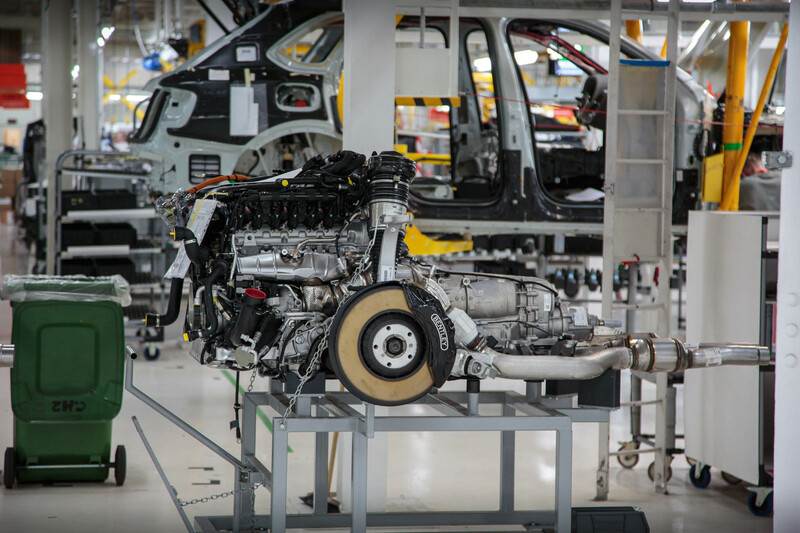 We see here a freshly painted model at its bare minimum spec, waiting for assembly. 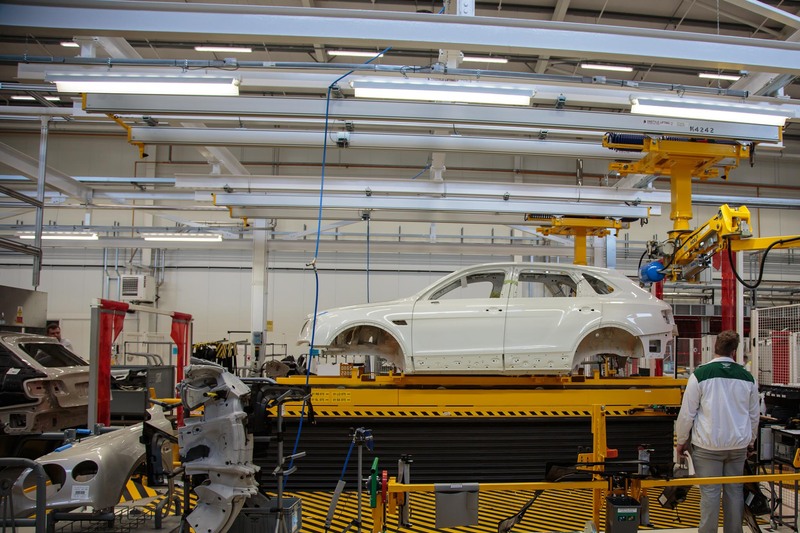 The car currently on the production line was painted and doors were fitted. However, they will soon be removed again to be built away from the vehicle. 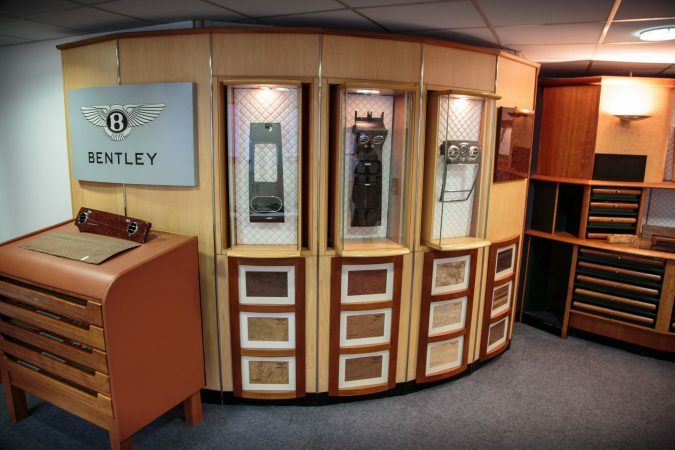 The doors have been accurately weighted when fitted to ensure a perfect fit once they are installed with glass and Bentley’s premium materials. 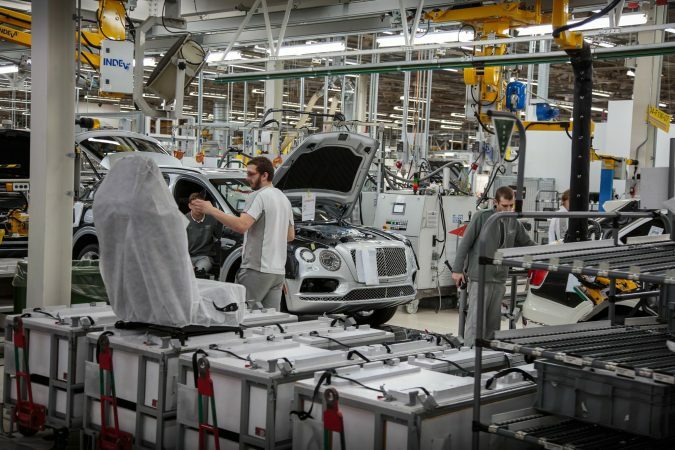 As we continued to watch the Bentayga on the production line, we noticed this is a superb modern set-up. 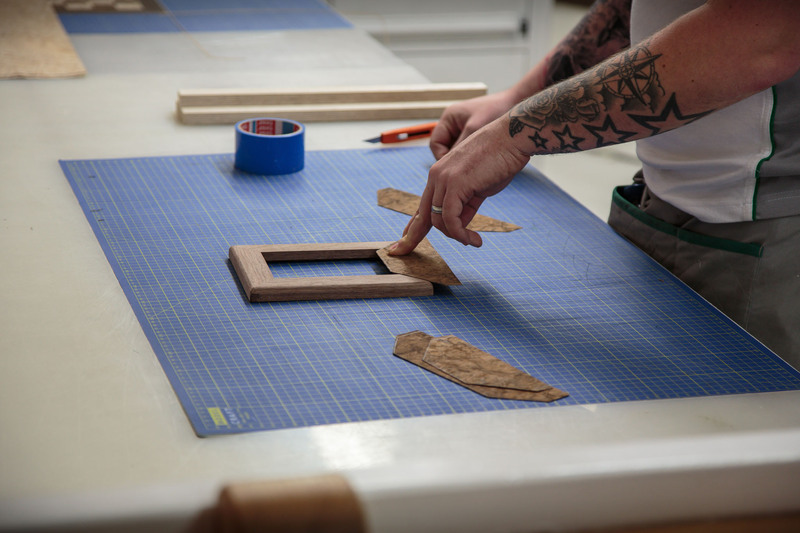 Accuracy and accountability are the key features for this build. You can see the technician below who is carefully attaching bolts to the car. The machine seen below monitors and programmes each unique torque setting accurately. 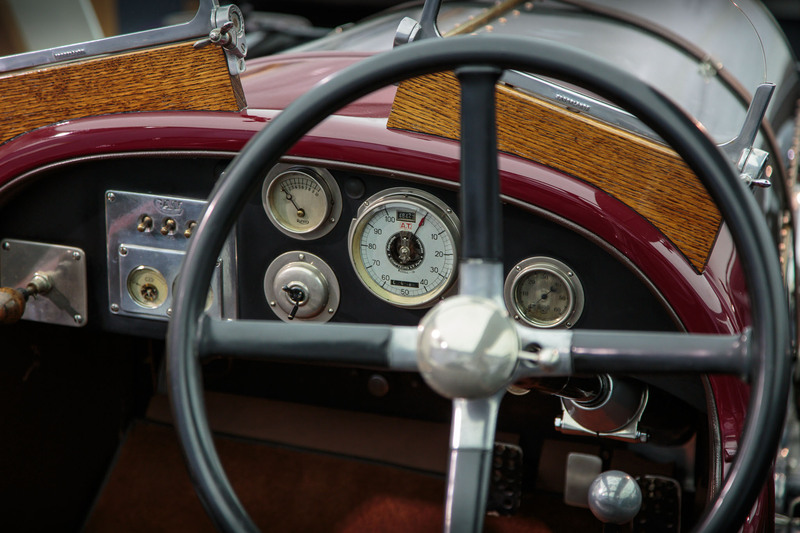 If there was an issue with a car in the future, it is possible to pinpoint which engineer tightened which bolt at what time and with which torque setting. 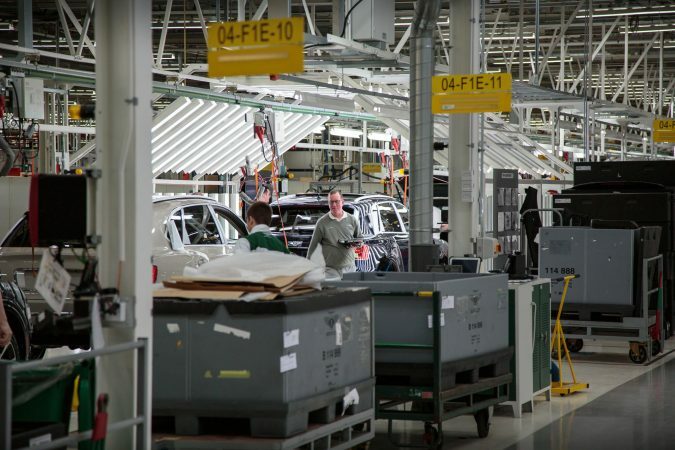 This is crucial for the development of the model, while tracking and correcting issues on an ongoing basis. 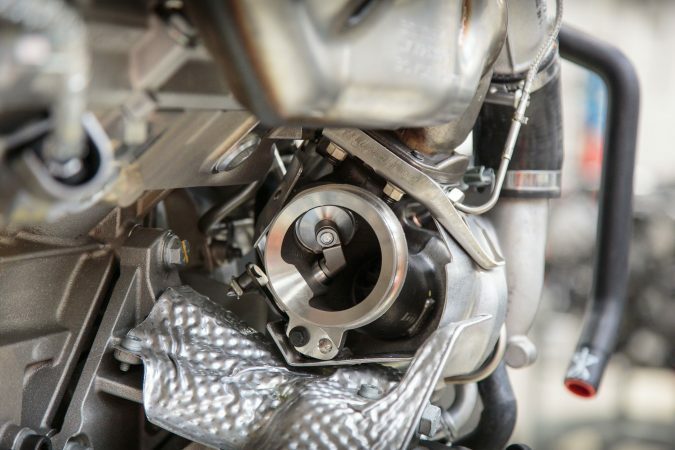 Now, we see an engine fitted with the transmission and front running gear. 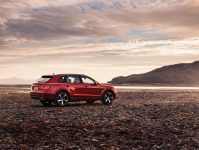 All of this is built in advance outside of the car and can be easily slotted into the Bentayga using a selection of highly precise bolts. The engine is carefully built and tested long before it’s put into the car. The workshop within the Bentley production line was far larger than I had expected for such a luxury and niche vehicle. 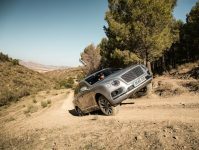 Tooled to the max, it is a great working environment for the employees and offers a premium build for what could be the best 4×4 you can buy. Later, I could not help but marvel at the engineering capabilities of the modern day. 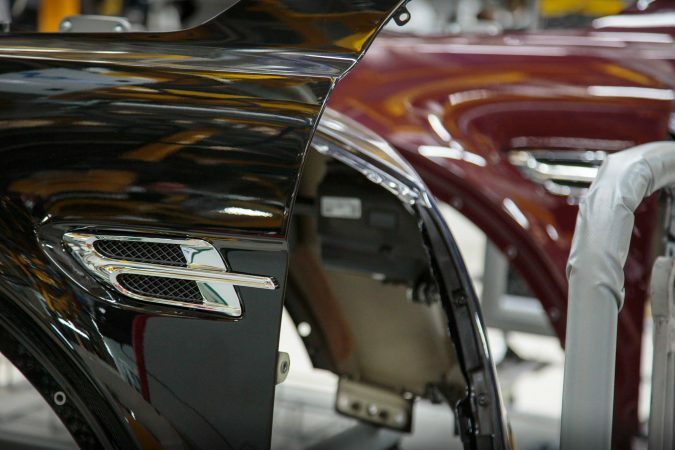 Bentley go to every length to create the smoothest panels with the least amount of visible joints possible, creating what looks to be seamless bodywork all around the car. I think this is one thing that we often overlook. But when you stop to think about it, it is a huge engineering process to achieve this. 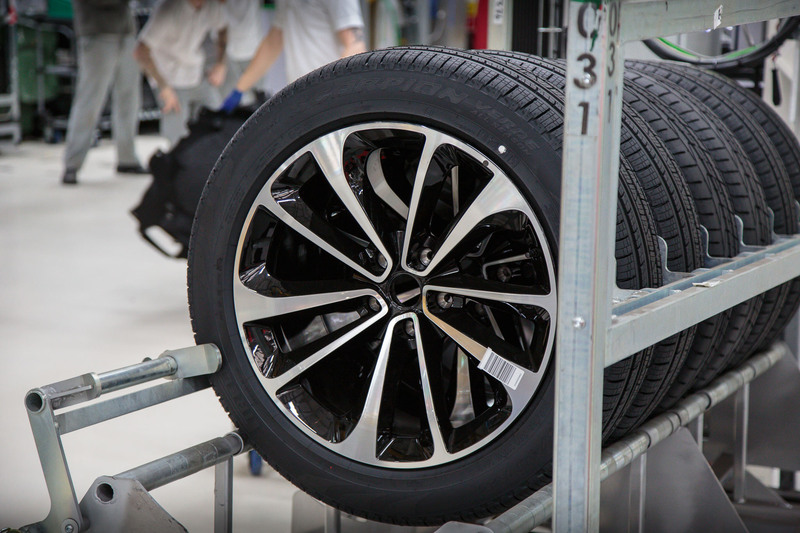 Finally, towards the final production stages of the car, we can see things like customer-chosen alloy wheels and tyres fitted, fluids added and checks performed. 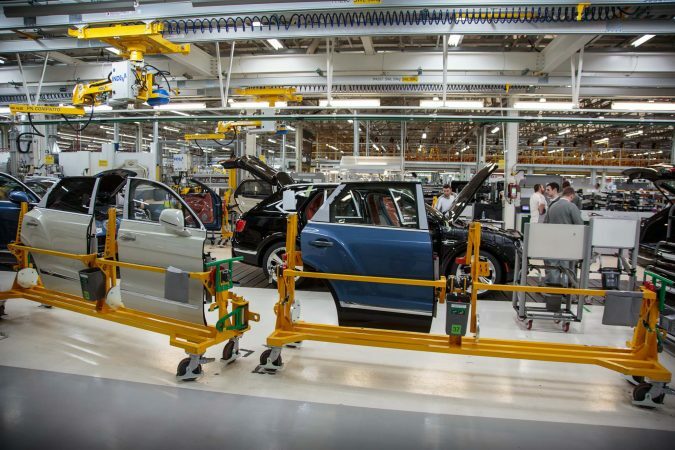 Within the factory, ergonomics are key when working to create the ultimate vehicle. We can see here where the headlining is being wrapped. 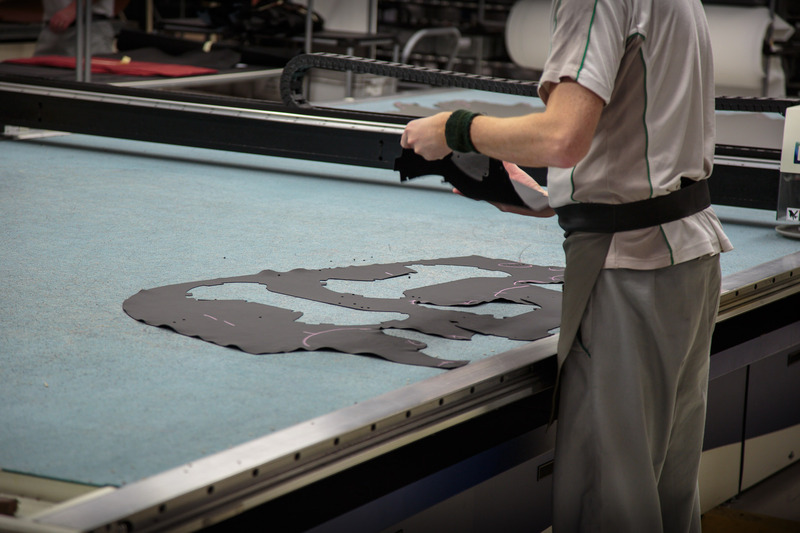 Workers fit the headlining to their own customisable table. They can then comfortably and efficiently create the best possible job before fitting it to the car. This illustrates Bentley’s commitment to pleasing the worker as well as the customer. And, here we can see the doors being brought back to the car after they have been fitted with the customer’s specification. 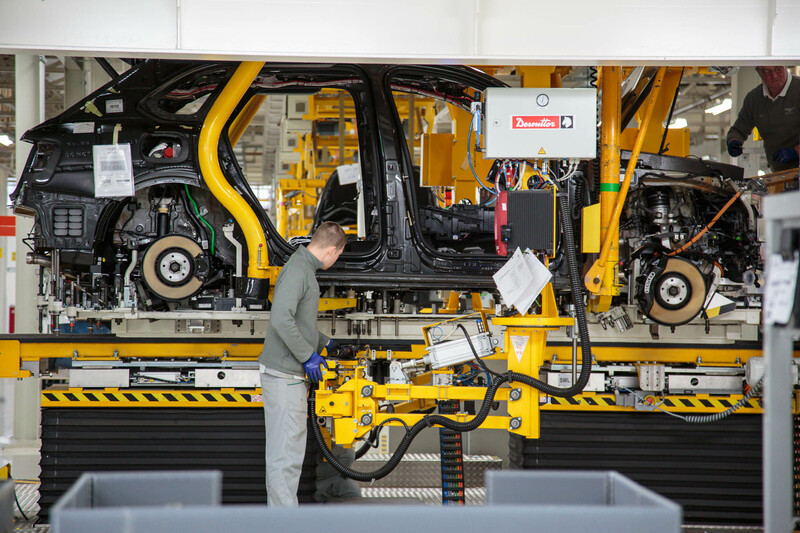 This is the same door that the model was originally painted with and is now being put back into place to complete the vehicle. 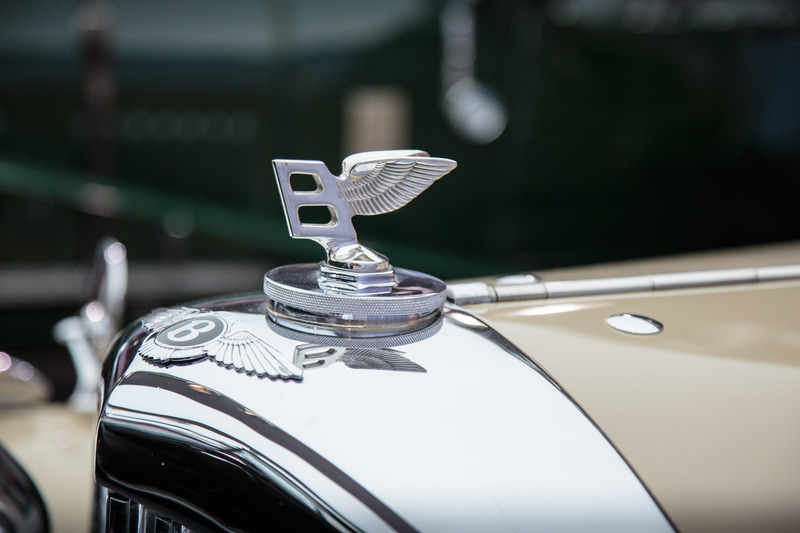 Bentley Motors have carved out a name for themselves for manufacturing upscale, quality automobiles. 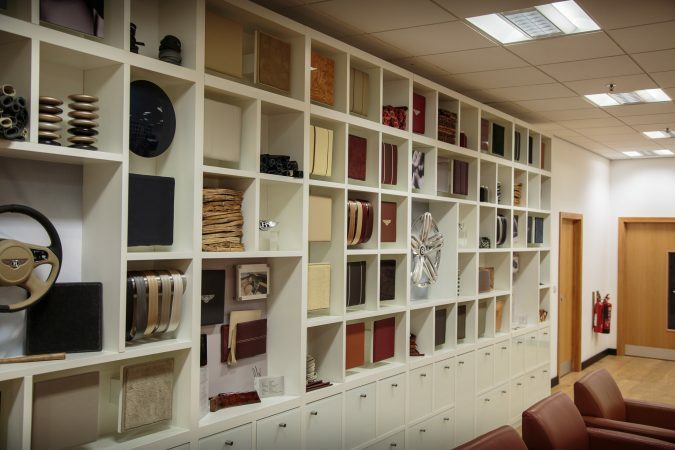 One of their long-standing trademarks has been beautiful interiors. 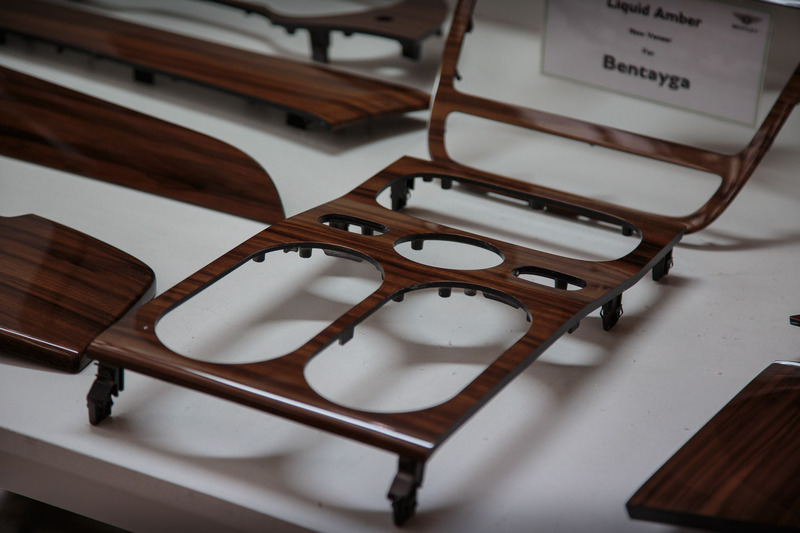 A key part of that has been the wood veneer available inside the car. 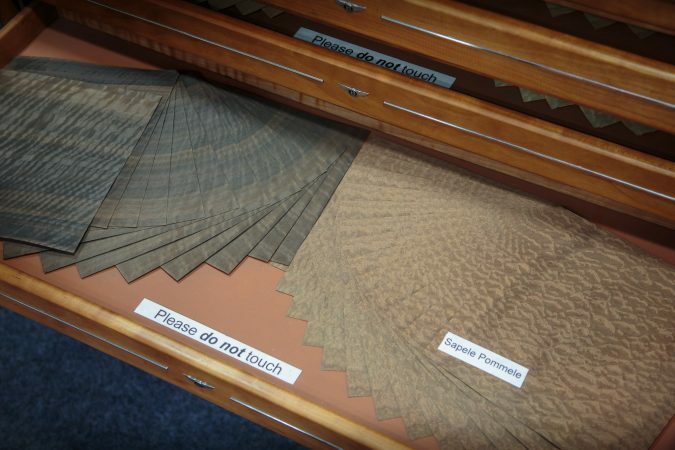 The choices are endless when it comes to veneer. There are materials available from all over the world that are environmentally sourced but also highly attractive to the consumer. 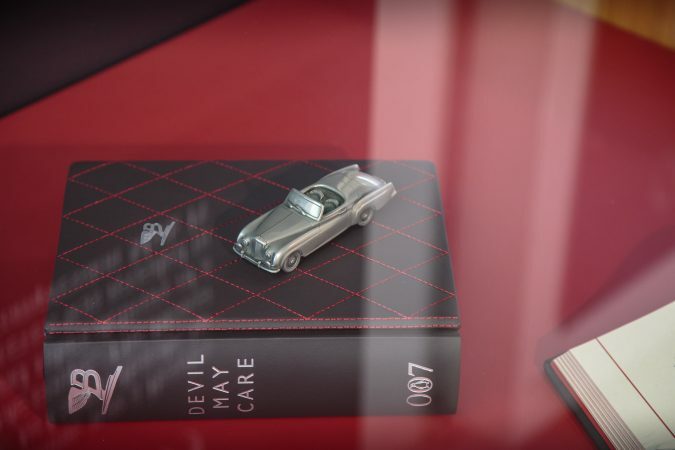 The room below shows examples of how all the materials could look in your car, not to mention how various levels of craftsmanship create the ultimate interior. 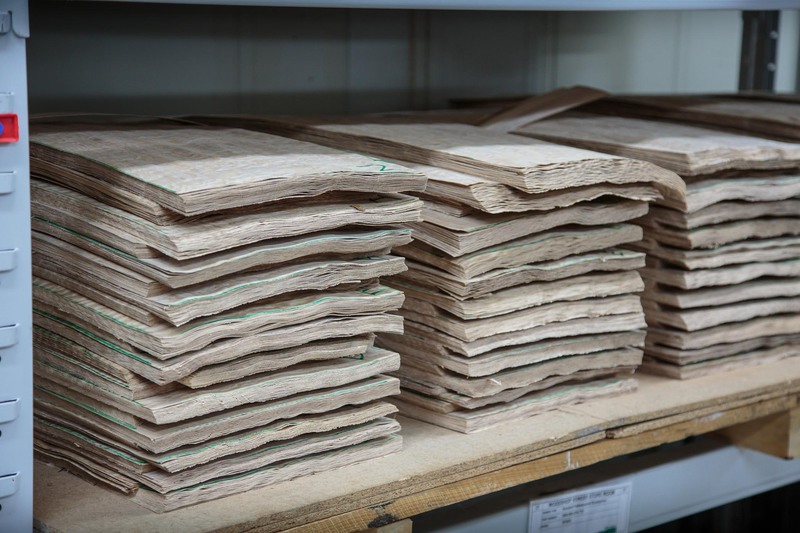 For example, we explored the storeroom that holds all of the veneer packs. Each of these packs is enough to cover one car. 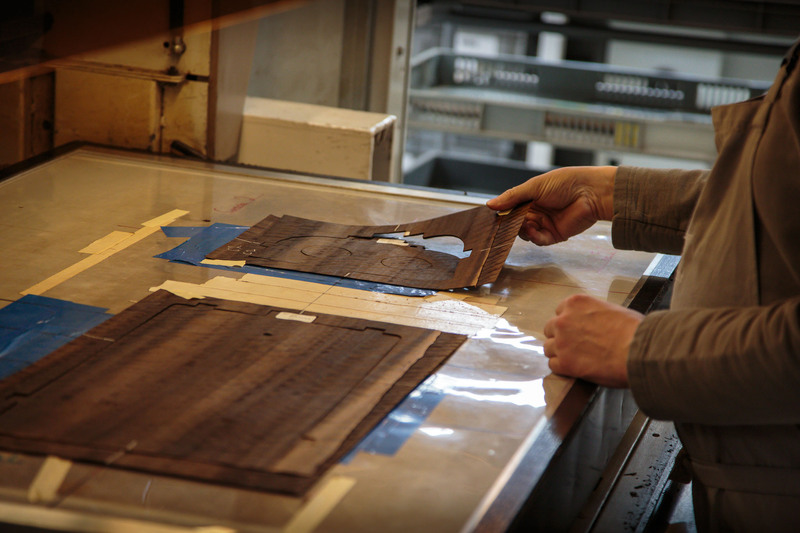 There were roughly around seven extra sheets to compensate for any flaws in the material or damage during the handmade creations. 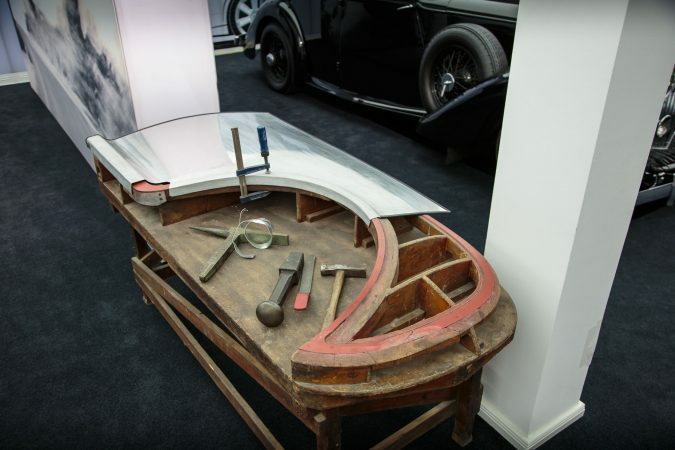 Rumours state that Bentley store the additional pieces for the lifetime of the car. However, this is incorrect. 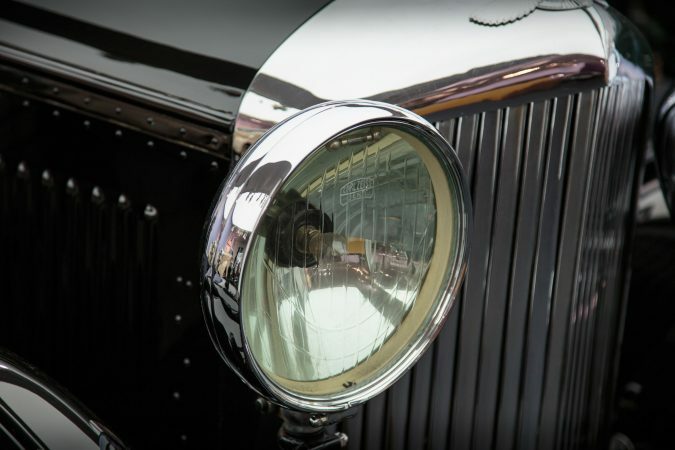 As when a car is out in the real world, environmental conditions will alter appearances over time. So allocating spares to be stored long term would have no additional benefit. 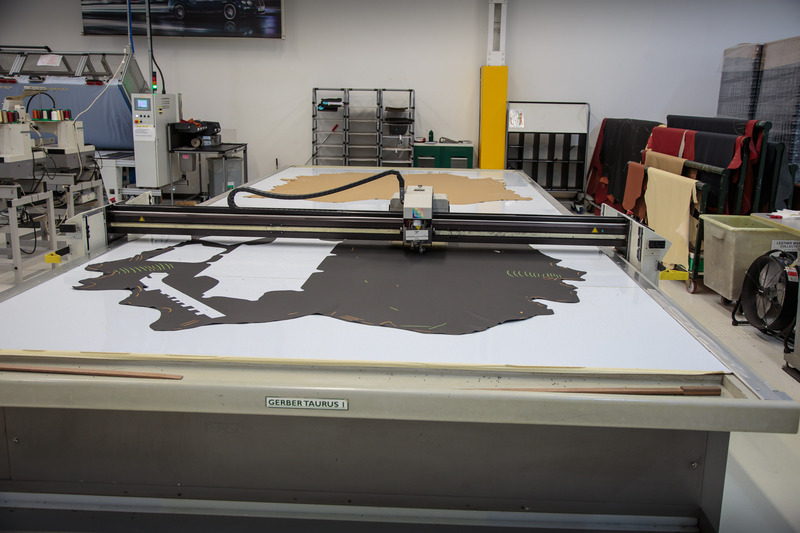 Below we can see how Bentley use the latest robotic laser technology to accurately and efficiently cut out the veneers with minute accuracy, ensuring the best possible build process for your new vehicle. So, clearly, the technical craftsmanship inside the Bentley woodshop is second to none. 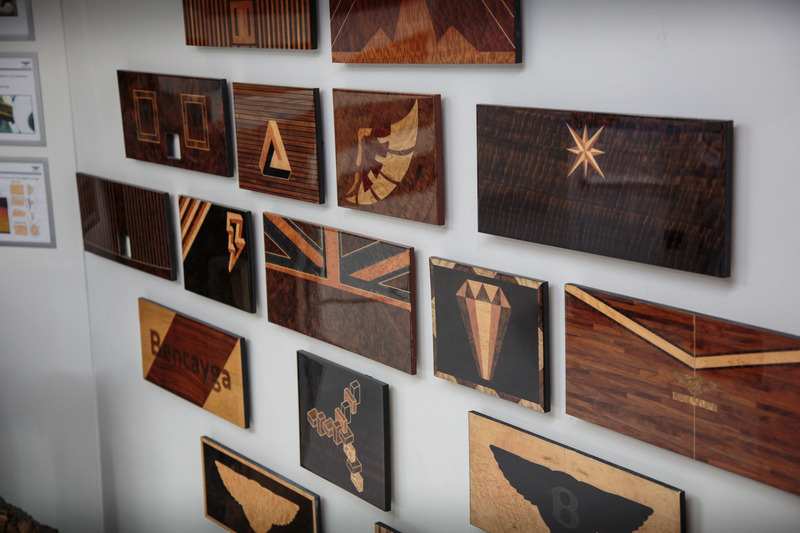 Examples below show apprentice-created bespoke designs using woodwork done by hand. The complexity of this process is unfathomable. But I can truly appreciate the work going into creating this and how beautiful the outcome is. It would be a great privilege to have this craftsmanship inside any vehicle. 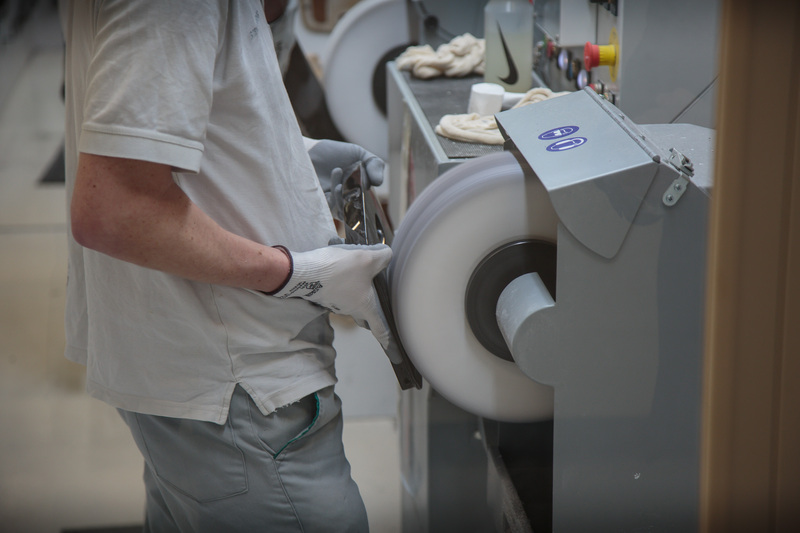 Once these layers have been designed, created and crafted, they go through a very extreme finishing process that takes years to master. 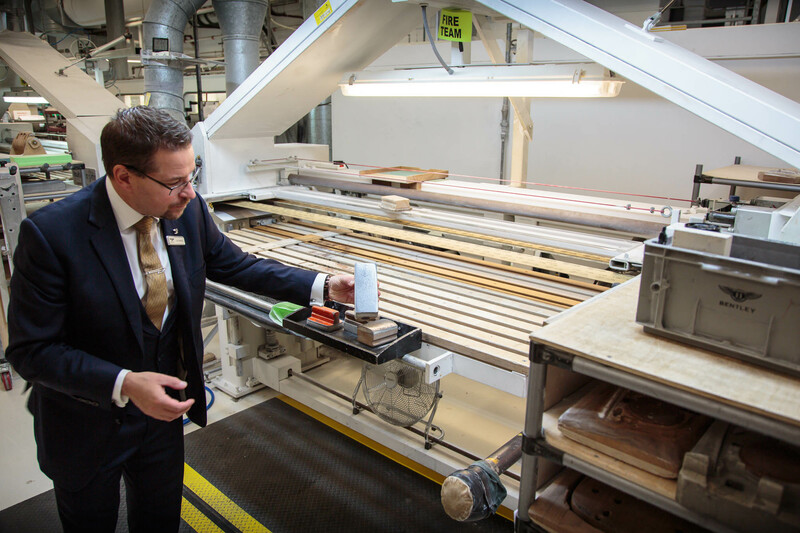 We can see in the pictures below how craftsmen will sand down the woodwork using their experience paired with various hand-made tools to achieve a fine finish before the final inspection. 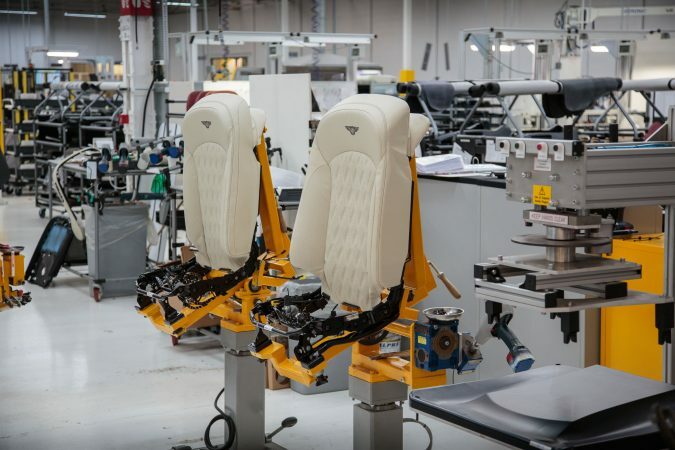 Then, of course, no Bentley would be complete without ultra-premium leather seats. 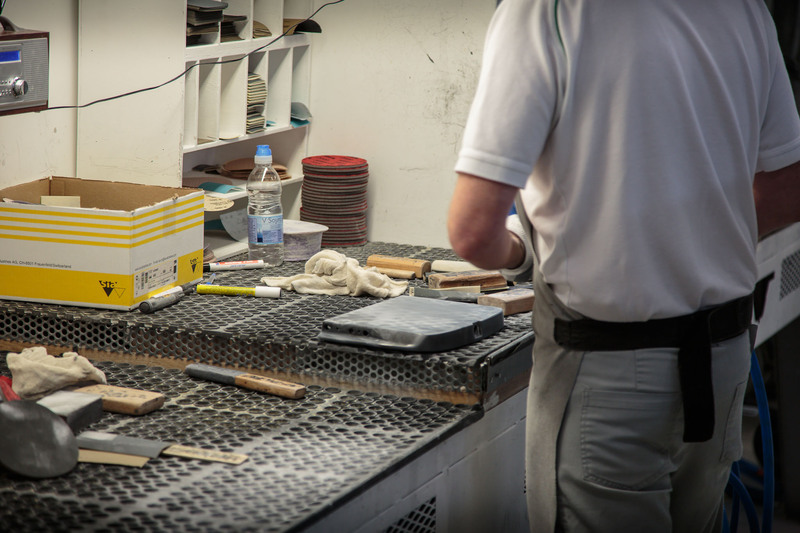 We walked around Bentley’s hugely advanced leather workshop. The possibilities blew my mind. 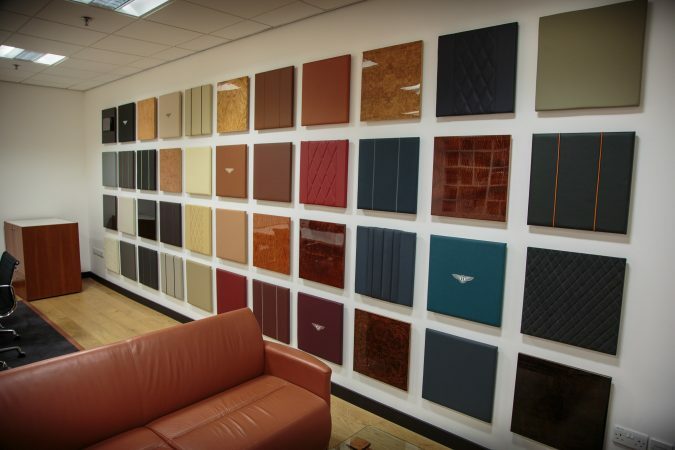 Depending on the model you are specifying, there are between eight and twelve hides needed to create your car interior. However, Bentley are very smart in how they do this. They use computers as well as eyes to scan the imperfections. But they also use computers to configure the best way of cutting all the pieces out of the hide. Thereby minimising the loss, this is the most responsible and efficient way to make the car interior. Even more these days, embroidery in the car is a must. 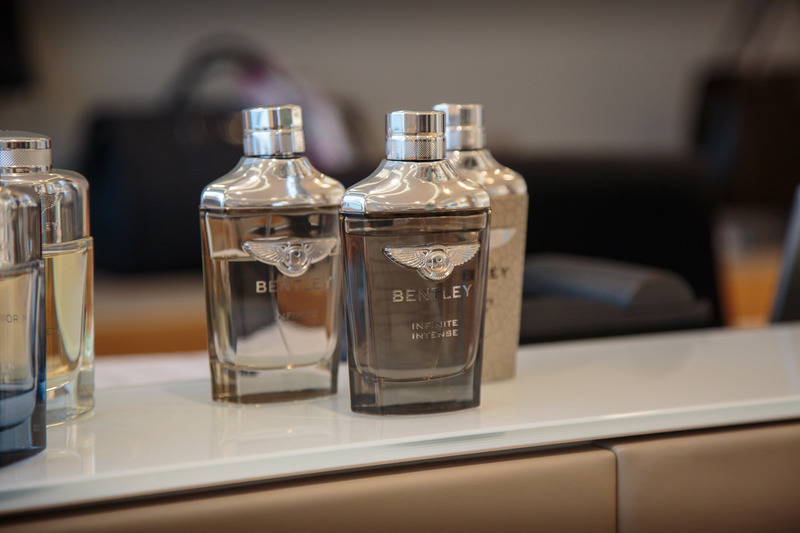 The customisation options are endless with the Bentley brand. For example, you can choose to have your car make or model embroidered into the seat upholstery, even your name or your business name. The options are infinite. 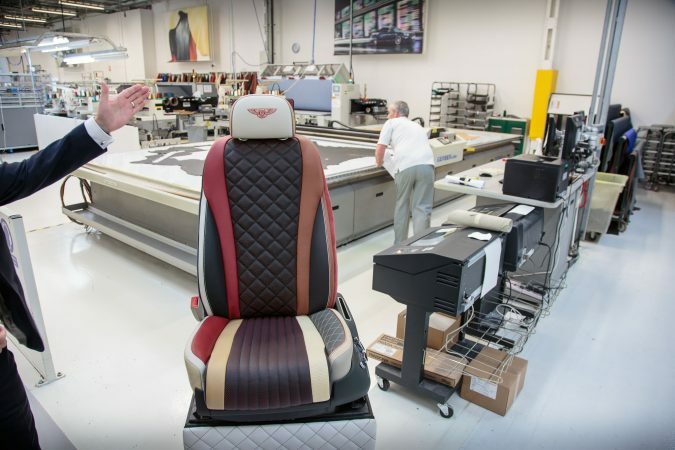 Below is an example of a sewing machine which is embroidering a Bentley logo into the leather headrest. The machine is fast, with blistering accuracy and an impressive finish. 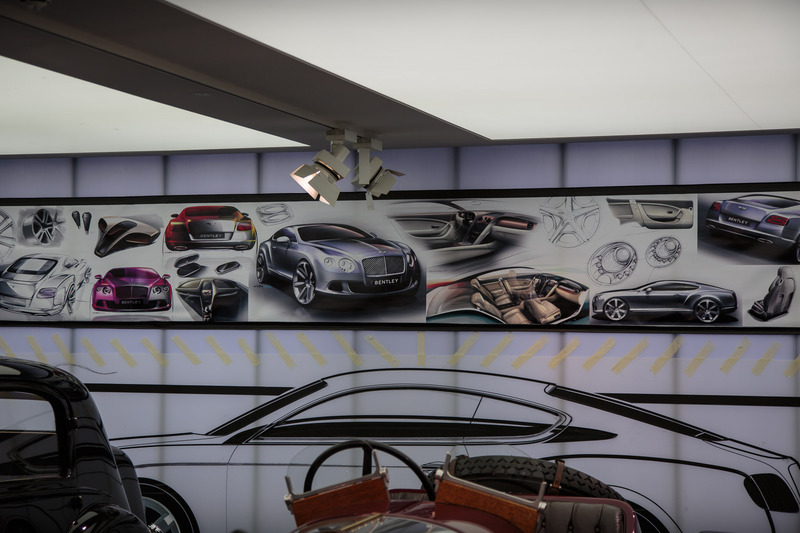 During the tour, we entered a room where they bring customers to demonstrate different ideas for customising their car. As you can see, it contains materials, textures, colours and things you simply want to touch. This is great for inspiration and shows just how flexible Bentley are as a business. 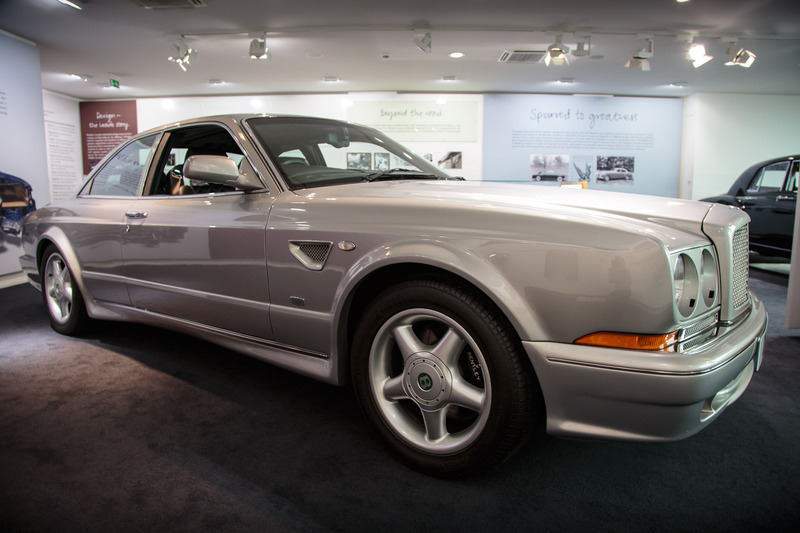 But let’s not forget about the engine process of a Bentley. The brand has earned a reputation for their beautiful W12 engine over many years. 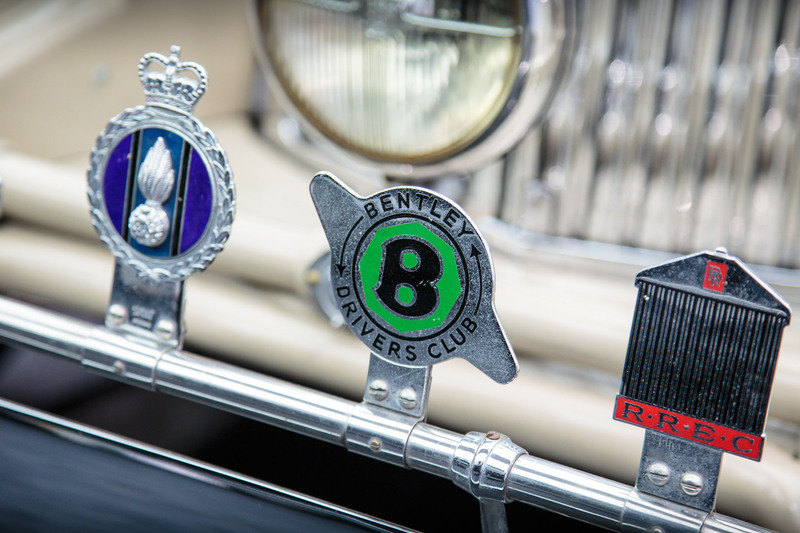 It is the trademark of the British motoring company. 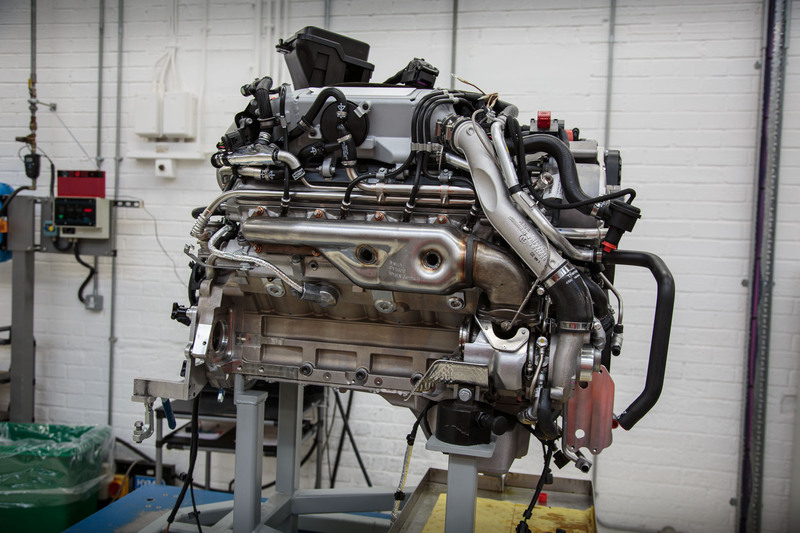 As you can imagine, hours and hours go into building these hugely powerful engines. 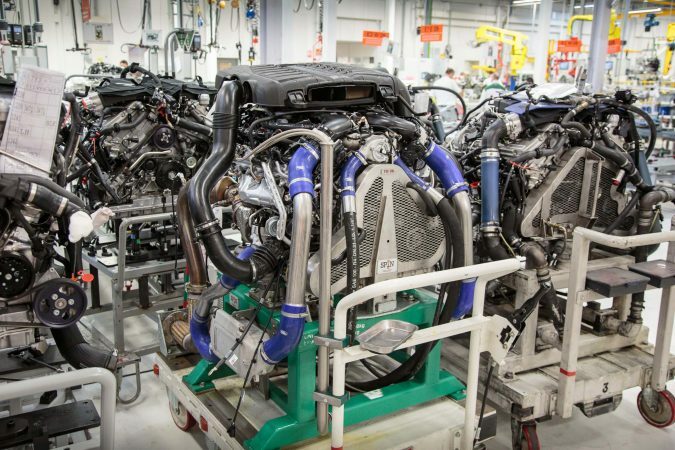 But just as important is the testing process of these engines. 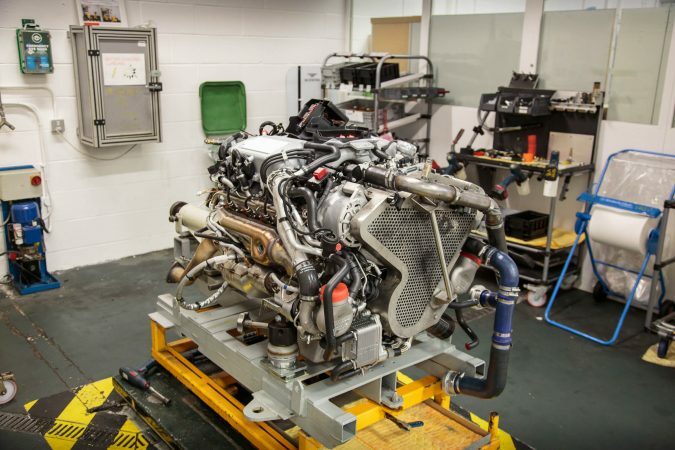 You can see below a new engine in a test bed. Both humans and computers analyse an engine to ensure that it is running correctly before it is placed in the car. 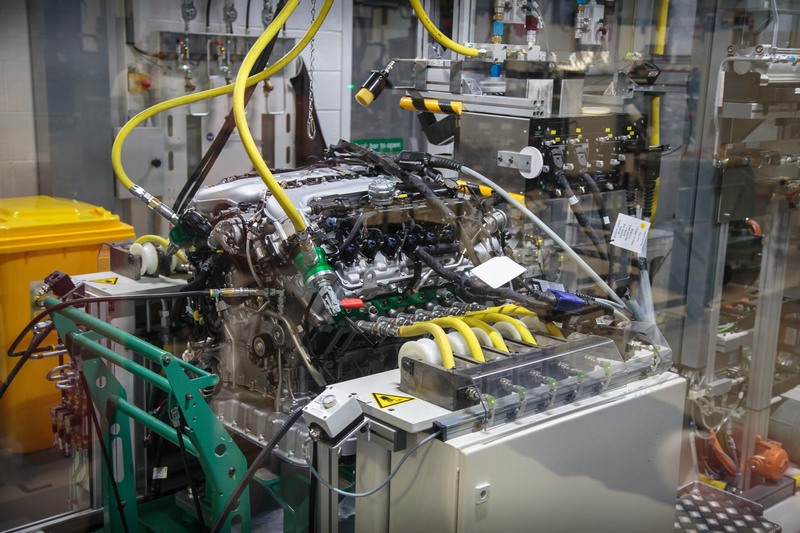 Each of the engines undergoes simulated test drives, ensuring optimum performance. Bentley also take this process one step further. 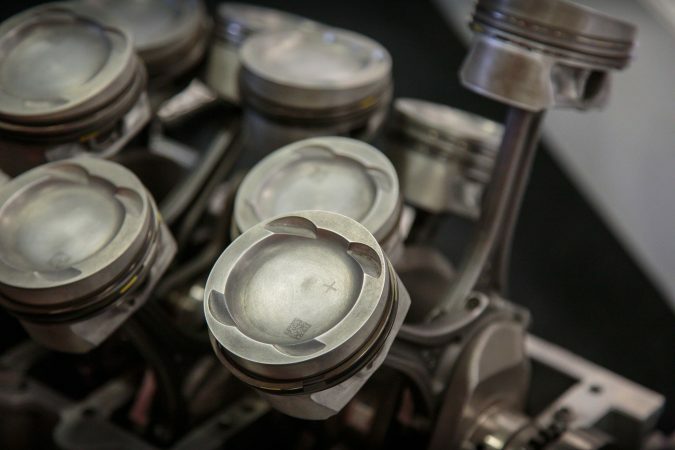 Once a month, they test a single engine for eight hours at full RPM, stress-testing the build quality to ensure their engines are built to last. Being able to walk around the engines in a partly built environment was a real sight for sore eyes. Seeing all the different mechanisms and components that build these hugely powerful engines was awe-inspiring. This was a great treat for a car enthusiast. Also, one lucky member of staff tests the engine, and when satisfied, puts their name on top of it, stating that the engine is certified to be of standard. 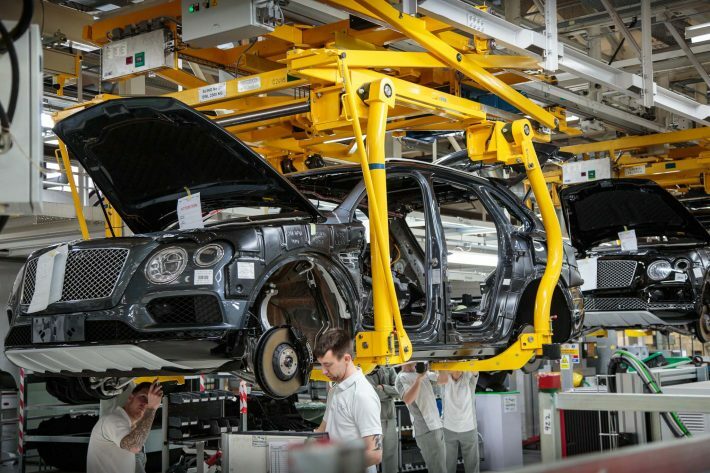 I can imagine this is a huge privilege at the Bentley factory and I’m slightly jealous that other people get to do this. 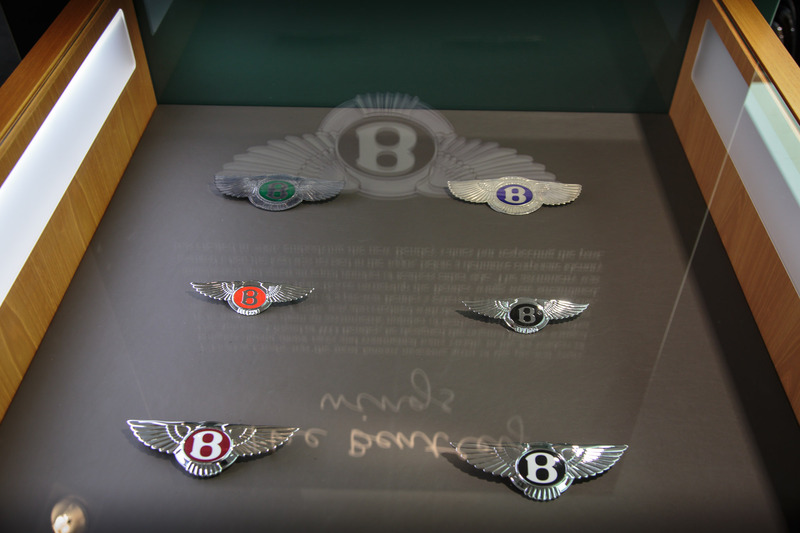 Finally, finishing the tour there was no better way of doing it than taking a look at the Bentley Boutique. 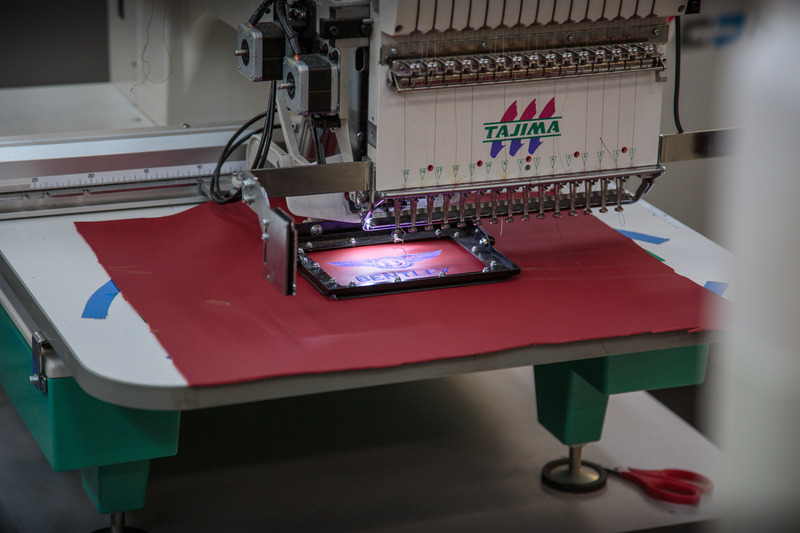 Many people who visit the factory, travel from all around the world and a lot of them want to take a souvenir home with them. 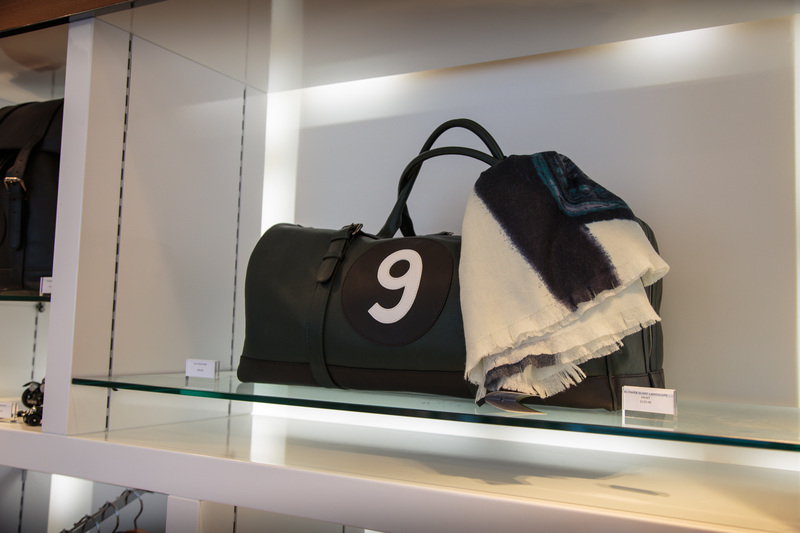 The products vary from aftershave, speaker systems, watches, bottle toppers or even luggage. Whether you already own a Bentley or desire to in the future, there are lots of goodies to please you.